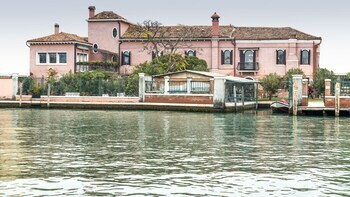 With a stay at Villa Lina in Venice (Venezia-Murano-Burano), you'll be steps from Murano and 13 minutes by foot from Palazzo Giustinian. Featured amenities include multilingual staff, luggage storage, and laundry facilities. Located in Serralunga d'Alba, Villa Contessa Rosa is within a 10-minute drive of Renato Ratti Cantina and Azienda Agricola Boasso Franco - Gabutti. Free self parking is available onsite. Rome as you feel - Spanish Steps offers accommodations throughout the area in Rome. A train station pick-up service is available for a surcharge.